SCHOOLS across the north coast suburbs have commemorated Anzac Day. 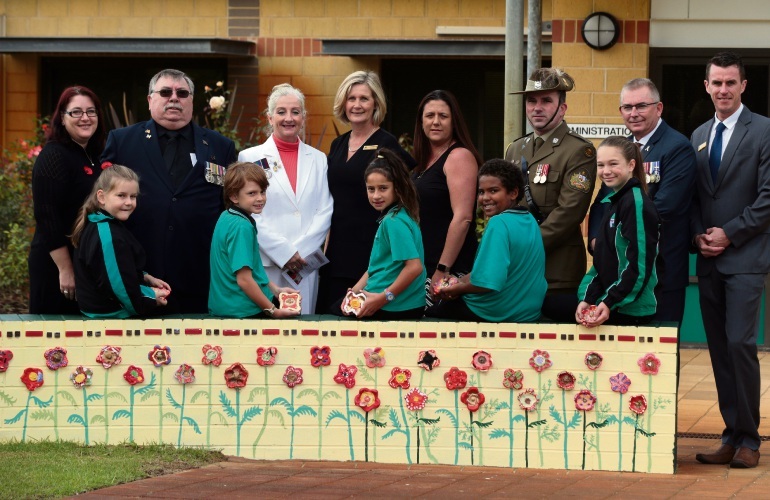 SOMERLY Primary School marked the completion of a commemorative Anzac garden at its end of term service. The Clarkson school received almost $3000 through the Federal Government’s ‘Saluting their service’ grants program to install the garden commemorating World War I servicemen from City of Wanneroo who died in action. “The garden recognises nine soldiers from the area of Wanneroo that died during the war,” principal Tracey Renton said. The garden, called an avenue of honour, cost about $4000 and P&C volunteers planted the trees while the art teacher worked with students to design and create ‘poppy tiles’ as a symbol of remembrance. The soldiers commemorated included Lance Corporal Richard Francis Smales and Privates Percy John Ainger, Albert Bennett, Herbert Bennett, James Bennett, William Edgar Cockman, C. Knight, Richard Waltham and Ernest John White. Sergeant Michael Owens, from the Expeditionary Health Squadron at Royal Australian Air Force Pearce base, was the guest speaker at the April 11 event. Sgt Owens served as a soldier in Afghanistan as part of the 1st Operational Mentor Liaison Team. Two Rocks Primary School head boy Noah Lekias and head girl Zakaya Benkendorf-Smythe with RAAF Pearce Sergeant Michael Owens. STUDENTS at St James Anglican School in Alkimos made poppies from plastic bottles last term. The spinning flowers will be laid on the grass at the school’s Anzac service held on May 1, starting 2.30pm. 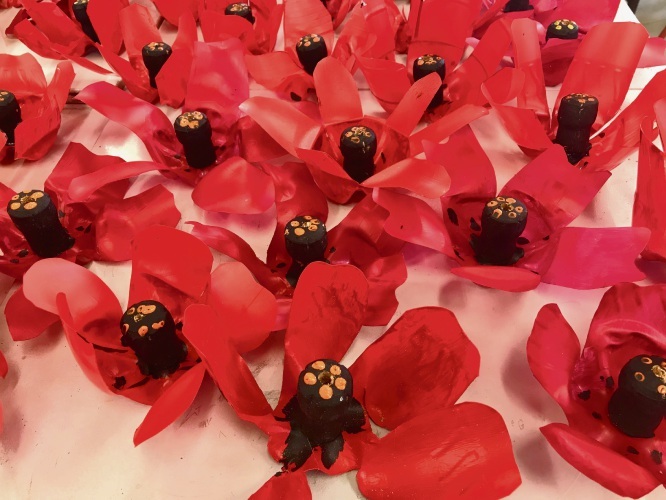 St James Anglican School students have been making poppies. 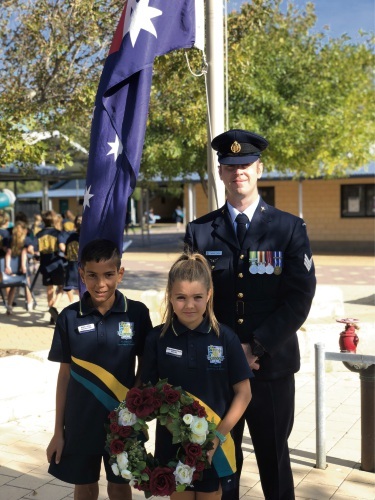 UPDATE, April 23: ON the last day of term, Northshore Christian Grammar School paid respect to the sacrifices made by servicemen and women at its Anzac service. Yanchep Two Rocks RSL president Bill Jones, a former navy serviceman, and secretary Malcolm Gow, a former UK Royal Air Force serviceman, attended the April 13. 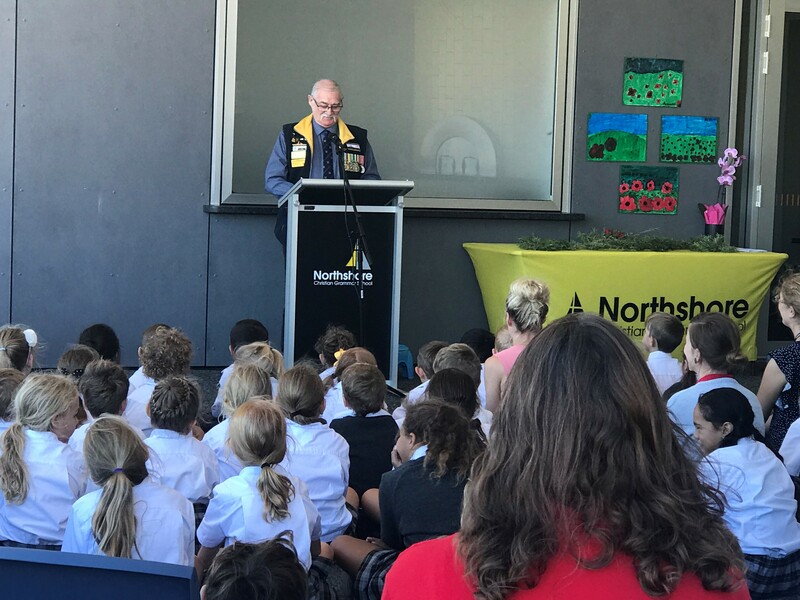 Yanchep Two Rocks RSL president Bill Jones spoke at Northshore Christian Grammar School’s Anzac service.